Really hoping that there's more news on Daemon X Machina. FINALLY! I just hope it was worth the wait. Really could do with some good announcements. Hell yeah finally the wait is over! Nintendo. A lot of gamers are pinning their hopes on some big new reveals and concrete details about upcoming titles. So don't you go letting us down or we're not going to be happy! Let the hype train roll! Be great if we just got a Metroid Prime HD Trilogy announcement. Happy to see that Fire Emblem is getting a good look in the direct, and I would think the new Yoshi game will also get a good look as well. Hope to hear about the game Nintendo said fans would love to learn about as well. Funny. Over the night, I was dreaming I watched an aired re-run of the "2008 Nintendo Direct" at an unidentified game store. So, 13 Feb 2019 11 pm CET = 14 Feb 2019 5 am West Indonesia Time ?? hoping for Animal Crossing gameplay. also, no mention of 3DS titles for this direct. just switch titles. Gimme that FE: Three Houses news! after refreshing this site constantly since January waiting for this news I know now it’s time! Well it's about time! All aboard the hype train! In all seriousness though, thank goodness. It would be nice to know more about Fire Emblem, and hopefully it finally has a date. Final Fantasy VII surprise release tomorrow, book it. @AxeltheBuizel A release date mainly.
" Metroid Prime 4 available RIGHT NOW ! " Persona 5 announcement would be amazing!! Finally the crying can stop. Well at least until after the Direct, in which case it starts all over again. @steventonysmith Well for one I love every Bethesda game EXCEPT Fallout 76. God, I hope there are still some nice surprises! Luigi's Mansion 3? Please? Cool that we're getting more Fire Emblem news, though. And hopefully, Mario Maker 2? Lol, or immediately after, if a game doesn't get announced that everyone is expecting. 33 hours until people start asking when the next direct is. I'm excited for 3 houses, but please give us some new stuff about the online service. Maybe the SNES app, some themes. I'll take anything at this point. I only want them to announce a release date for Daemon X Machina. Wonder if this one will be geared towards Fire Emblem, since they saw fit to mention it specifically. Regardless, I just need a date for Daemon X Machina and Fire Emblem for me to be happy. Anything else is extra, since I'm not a masochist letting myself overhype. Yeess, finally, the wait is over! @Wesjedker which will mean Metroid trilogy, Mario maker and a 2d Zelda game because didn’t they also state all this was included?? @Edu23XWiiU Right there with ya on that one! Outside of that, I'm happy with what I have, I'm happy with what I'm purchasing in the next month or so, and anything else will be a welcome surprise. I don't set expectations for stuff like this anymore and it makes it much more fun. FINALLY. Hoping for release dates for FF9, Grandia remasters, and RPG Maker. just thinking....there might be one of those its now available to download releases after the presentation??? maybe we will get ff7........one can dream!!! We're all surprised. We're also all hoping and happy. There some complainers too. What are the chances of locking Mario maker 2 behind the awful online and holding your levels to randsom so they will be deleted if you let you sub expire? Almost 100% I'd wager. They had better at least let you carry your levels and stars over from the original. Also, my 3 most hyped games right now are indies so I'm not too stressed. RemiLore will be out in a couple weeks, a release date for Eagle Island is coming super soon, and Juicy Realm should be out sooner than later so I'm all good! Ugh thank God! Maybe I'm greedy but after all this time I was hoping for an hour not 35 minutes... but oh well. With them saying that they "failed to show the appeal of the system" I'm REALLY hoping they come out swinging with a lot of info on what we know is coming out (but don't dwell too long dangit) and a lot of surprises. Just give me a variety of stuff to look forward to and I'm good. 2/3 of the direct is going to be about Fire Emblem, isn't it? Just kill me already. Was hoping for an hour here too but I'll take what I can get! Lol. No 3DS mentioned is a relief. Ahaha, it would be airing at 10pm on a day I need to wake up at 4am! But seriously, I'm hoping it's worth the wait for people. It's been a long time coming. Metroid Prime Trilogy will be preordered so fast that my credit card will evaporate. And my wallet will hold a funeral. Seriously though, I’m really itching to dive back into that and some new titles. Side note: anyone else enjoying the crap out of Odallus? I think it’s so much fun! As always, I'll be going in with no expectations. I prefer to be happy with whatever they do show than upset about what they don't. I'm expecting to see a lot of complaining afterwards with people getting their hopes up too high as usual, especially after the lengthy wait. That’s uncharacteristically late in the day for a Direct. No matter, I’m excited nonetheless! I was beginning to think there wasn’t going to be one until the spring, with all the random news that has been pouring out everywhere. It almost seemed as if Nintendo took the contents of a potential direct and just released them piecemeal over the last month or so. I’m curious what’ll be in this one. 35 minutes is a good chunk of time, and it looks like they won’t be spending any of it on 3DS. A release date for Saint's Row 3 would be enough for me! I mean: how much of what was supposedly leaked, can they put in 35 minutes? What was listed, would have at LEAST taken an hour, unless they only show short teasers of each of these titles. Superb. The time for me is far from ideal, (5am on the 14h) but I'll be there on the Live Chat, fuelled by coffee and getting over excited for a man of my age. Guaranteed - Fire Emblem footage and release date, Yoshi, Smash fighter unveil. Expecting - a Spring release date for Daemon X Machina. A trailer for Luigi's Mansion and maybe even Bayonetta 3. A sneak peek at Animal Crossing. Metroid Prime Trilogy 'Available Now' or by the end of the month. Hoping -. A surprise big 3rd party announcement, say GTAV or The Witcher 3.. 2D Zelda for the end of the year. Retro Studios finally showing us what they've been up to. 3x SNES games 'Available Now'. And the usual, folders and themes. I literally just want Metroid Prime Trilogy. Legit best video games ever made, period. Looking forward to it. Something will catch my attention for sure. I have never been so hyped on Nintendo Direct!! I'll be at work 🙁. I guess I'll watch the upload on my break. @Alto I have been enjoying Odallus but I've stopped playing it till the patch arrives,apparently it's been submitted. I've encountered a couple of enemy glitches that prevented me from going further. Also having Y for attack and A for jump isn't ideal. This will supposedly be fixed in the patch. As usual I'll set my expectation low so that I won't end up disappointed like "Nintendo fanboys" do. What about 3DS news for all of us loyal fans!? Time to stop worrying about the lack of a Direct is over. The window for building ludicrously high unrealistic expectations is upon us. meh meh mehhhhh!!!! allll aboard!!!! Cue the wildly unrealistic expectations. Finally!!! I want Assassin Creed Ramaster, Spyro for Switch. Release date for Daemon Machine, Luigi 3, Animal Crossing. Also trailer from Pokemon RPG!! Really looking forward to FE info. And finally, given the reboot of Metroid Prime 4, please give us the Metroid Prime Trilogy announcement. They’ve flagged up those games as coming this year but not necessarily in this Direct. Mario Maker 2 is expected at E3. I'm dying to know more about Three Houses. Anything else is just gravy at this point. This .....certainly will NOT happen, but I love to dream! @Stocksy I hope so, Mario Maker 2 needs to happen. I want my slopes and water in any level, also more backdrops and music options! I have no expectations, but I'll watch. Don't think I could not watch even if I wanted to, my will power is weak. I have NO idea. I've given up guessing with Nintendo. Haha. Demon X Machina and Fire Emblem 3 Houses are all I am going in with for tempered expectations. Wish list would be a New Monster Hunter or port of World, Metroid Prime Trilogy HD, port of Tokyo Mirage Sessions, port of Xenoblade Chronichles and X and more that would just lead to disappointment. Tempering expectations, but hoping for dates for western Dragon Quest XI, a Persona 5 announcement, an update on Shin Megami Tensei V, more on Daemon X Machina, and some Animal Crossing footage. Just please dont end it with more Smash reveals. No 3DS mention so do not expect any 3DS coverage in the direct. The platform is done. Switch Mini probably will not be announced tomorrow but its coming. Good. Looking forward to this! Hoping for SNES Switch online news and surprises. Lots of surprises. I think whatever information we will get on Animal Crossing, Pokémon, or Luigi’s Mansion will be minimal. Probably, some sneak peak with no info. I imagine if we are getting Metroid Prime Trilogy, we will see it tomorrow. We will probably see another Smash character. I think the thing that drops tomorrow is the SNES online. Then, we will get the new Labo kit. Then, they’ll focus a good portion on Fire Emblem. They’ll show a little of Dr. Mario, and I wouldn’t be a bit surprised if we didn’t see a new 3DS game like Super Mario Sunshine in the similar style of Luigi’s Mansion. @rjejr Nintendo really needs to either do more Nintendo Directs or find other ways to temper expectations. Fans seem to have been dying for this (so many stories about potential directs and the lack of one) and there is almost no way they could be satisfied. Imagine if Nintendo hadn't let the steam out of Metroid Prime 4 anticipation earlier. @invictus4000 Yea I love my 3DS... but it's time to move on. Or at least dedicate this Direct to everything Switch related for the next year. Later they can show the 3DS stuff in their bite-size announcements that they've been doing. GTA V! It's about time! Yay now don't disappoint me Ninty. I expect my wallet to scream, if it ain't screaming you didn't do your job well enough. After that trailer we had last month I really think ff7 will release tomorrow as well. I'm really hoping for a kingdom hearts reveal too. Finally a direct with no 3DS. 35 minutes of just Switch. I woke up to this great news!! All I want is Animal Crossing! No, NL - I can't think of something more to say. Couldn't they have timed this better? I'm not watching it at 10pm GMT and by Thursday morning when I open YouTube, everything will be spoiled for me! Now wheres somebody posting that "its been 3000 years" meme. Wish lists ready all? any good game will do for me but from all the (old) rumors i would love to see Persona 5 get confirmed. Read a rumor on a new Monster Hunter Game which would also be awesome. Any Pikmin game, new or port will make me happy. Metroid Prime 5 had better be announced at this direct, or else I'm selling my Switch. Right, what I want to see is probably FE, a Joker release date and some surprises. Looking forward to seeing some Labo 2 instead! I've got this strange feeling there'll be alot of third party support surprise titles. Hopefully something cool like Metroid Prime Trilogy available now, at the end of the direct. The leaked games were for 2019, not the Direct. The only game he said would be in the Direct was Metroid Prime Trilogy, and even that was just a "probably"
What I'm looking forward to the most is Persona 5, Wind Waker HD, and, most of all, Pokémon!!! Professor Layton would be great too. Anybody would love a new entry in the Hotel Dusk / Last Window series? (I know that CING is dead now). It looks like it’ll be focused mainly on Fire Emblem (at least that’s what the Japanese announcement wording implies) so I see FE taking most of those 35 minutes. Anyway, I hope they reserve some time to announce Metroid Prime Trilogy and a couple of surprises..
Let's hope they give us an update for the switch to have mii plaza, and stuff like the wii. It's honestly just bare bones and not that fun. Something first party we don't have to wait 8 months for. Well, the wait is finally over. Whatever they have in store for us, whatever that may be, it's going to keep us talking, instead of wondering and guessing. Also, anything Smash-related would be good news. This is a Nintendo Direct, not the E3 2019 Presentation. So keep your dead memes dead, your expectations moderate, and your mouths shut. I'm an optimist, but I'm also a realist. 10pm! Sweet! Working day over, settled in for the night. May even have a glass of wine or two. Metroid Prime Trilogy HD available shortly after the presentation! @AlexSora89 dunno if you have already seen this but it seems that at least a part of it is true for now... maybe even the rest? BOI the hype for MM2 would be amazing! @AcridSkull only if it's a download-only. I can see an early march physical release, though. Conkers Bad Fur Day 2 please! Sweet! Hoping for Assasin's Creed and Spyro confirmations. Fire Emblem is cool, too. Hopefully Zell is right about the games and not just the date of the direct. I wanna play Pikmin and Metroid since I really missed out on both. There's like a gazillion ports I would like to see announced for the Switch. Persona series, Metroid Samus Returns, etc. I'm very happy to see this, but I hope it's not an entire Direct about Fire Emblem. I'm happy for Fire Emblem fans finally getting info on the upcoming game but personally I have no interest. I'm guessing we'll see stuff about Yoshi, Fire Emblem, Luigi's Mansion, and (hopefully) Animal Crossing! @Regpuppy i hope not or smash bros ultimate dlc or splatoon, that would bore me to tears if they wasted 35 minutes on them. lets hope we get new info on some new games, animal crossing and luigi's mansion 3 too. @aaronsullivan They are what they are. I've been on this site for over 10 years now, probably nearly 11, and we're up to what, the 4th President over that time span, but Nintnedo is still Nintnedo. They're immensely secretive to the point of nonsense and it isn't doing them any favors. They talked up NX for about 2 years before telling us what it was. Practically the only time they say they aren't doing something is when they are, just a few weeks later. They have zero communication skills in an era where if you don't return a text in under 35 seconds people freak out. They've known people have been waiting for this for weeks, yet they still only announce it 30 hours before showing it. And it's probably been 80-90% done for weeks as well. Why so secretive? And why such short notice for something they WANT people to watch? Other companies like Sega and media Molecule give a weeks notice for announcements. Admittedly that bugs me too sometimes, I'm nto perfect, but Nintneod could very easily be much better about communicating when NDs will and won't be. But they won't change. After 11 years of following them they're just what they are. Oh sure, they do change, they have games on mobile now, and charge for online, but they've always been bad and communicating, they just are. They either don't talk, or when they do I just assume ti's a lie. In 2019 people expect better. Hopefully this is good, then pepel wont' care. But I'm nto optimistic. It's mid-Februaray. Nitnedo knows they need a great ND for E3, so I'm not expecting much from this one we dont' already know, just a lot about games we already do know about - FE, Yoshi, AC, Luigi's Mansion 3. Info is good, dates are good, but if that's all there is they should have shown it 4 weeks ago before their fans we're rabid w/ anticipation. And we'll probably get a few new games - ports of some Wii U game or another, or WW HD or Skyward Sword, maybe Super Mario Maker 2, but I'm nto expecting over whelming favorable reviews. Oh, and another SSBU DLC character, probably from DQ. If they really want to have a good Direct, simple suggestion, Switch game rewards on MyNintnedo. % off w/ plat coins, free w/ gold. Easy fan appreciation. And SNES games on NO. Their fans are easy, they don't ask for much, but gotta give them something or there will soon be less of them. PS5 and X2 are coming to steal the spotlight, then it will be harder to shine. I’m taking this news with a large grain of salt. @Moonlessky well they aren't going to release it at bargain prices because of a previous platform. Thank you Nintendo for having a Direct I'll actually be able to watch live! Here's hoping. Not that Maker 2 is coming, but rather that the possibility almost-total certainty of it not coming won't hurt. @MoonKnight7 Followed by taking to the comment section and screaming "this is not what we wanted Ninty/Nintendo/Reggie/delete as appropriate", even though they won't read this. I'm getting my bingo card ready. @Mantorock i wouldn't be happy with 4 swords, not on of my favourites. Hopefully we can get through a Direct without time wasted on smash. Nintendo UK says 10pm here: https://www.nintendo.co.uk/Misc-/Nintendo-Direct/Latest-Nintendo-Direct/Nintendo-Direct-698557.html? @YoshiAngemon Yes, but in recent years, Nintendo Directs have had more announcements than E3. Can't wait to get a good look at Fire Emblem, but I really hope there are some non-port announcements. Kind of thinking we might see a reveal of that Retro Star Fox GP. They can throw in some Wii U ports if they want, but those aren't going to be for me. hint about the "unannounced" nintendo games. @huyi same, I'm just gonna watch that train drive by for the next 30hrs, lol. @Aozz101x the 3ds is slowly dying. There’s only about 4 games releasing on the 3ds (aside from indie titles). Makes sense to have it just the switch. It’s their main focus. To be honest, if all we got was an Animal Crossing gameplay reveal and release date as well as a new Mario Sports game (Golf) and maybe a third party exclusive (timed or forever ) like Lego City Undercover, I'll be happy. Spyro and a new Pilotwings would also be great, but I don't know. People always say keep expectations low. I hope we get to have release dates and full titles for the switch games. And maybe more 1st party announcements. Fire Emblem!! Its been in my most wanted top 3 (along with Bayonetta 3 and Metroid Prime 4) since it was announced; so hopefully they'll announce a release date that isn't too far away. @Matthew010 pilotwings, I loved that on the wii and the 3ds one. Hope to have this Again, it’s a nice calm game. Sorry, but if they don't announce a sequel to Street Fighter: the Movie: the Game, a new Yoshi's Safari, and a Switch exclusive revival of Battle Arena Toshinden then this Direct is going to be a bust! @Hunt3r_Cr0wl3y I'd love the 3DS one even more if "Free Flight" meant free flight and not "3-Min Flight." I really hope Fire Emblem cuts down on the weeby fanservice crap. If not I'll just skip it and play through Genealogy of the Holy War again, best game in the series. As for everything else? I'm so hyped for Animal Crossing that a little bit of gameplay will make the entire Direct a success in my eyes. Metroid Prime Trilogy certainly wouldn't hurt either. So, 13 Feb 2019 10 pm GMT = 14 Feb 2019 5 am West Indonesia Time ? All right, Big N... let's see what you got! DQ11 western release date please. It's becoming almost impossible to not buy it on sale for Ps4. Some solid dates or windows for already announced titles...I think we see zero on Animal Crossing until e3. Also don't forget the classic line, "Does Nintendo hate money????" Haha, my bingo card is ready too! Please be a Mario Golf that follows along the lines of Mario Golf 64. A Metroid Prime Trilogy sneak release and Mother collection would also be awesome as would a new 3D DK game following DK 64. Make it happen Big N.
This is great news to finally wake up to. 35 minutes? I'm concerned that we may have already heard about everything this direct has to offer. My expectations are low...which is the perfect time to be surprised! HYPE. BUILDING. @JaxonH Ah, okay. Fair enough. I seemed to have misunderstood that, then. Just wondering, since you seem to be a KH fan: are you able to follow the story? Like, at all? I've always thought that the games have pretty fun combat but the most awful, convoluted story I've probably ever seen in a videogame. Not only that, but from what I hear KH3 threw most of it out of the window so even the people who enjoy the bad writing are disappointed with the latest one. Not trying to insult you, just genuinely curious because from what I've played of the series, it has so much wasted potential. I personally wouldn't want Sora in Smash, he has had no character progession throughout the series, especially now in 3 where he's amnesiac and forgot everything. The games definitely would have been better if there had been more of a focus on the Disney stuff. Realistically, though, I think we can expect firm release dates for games like Daemon X Machina. Also, trailers for Assassin's Creed III and Spyro seem very likely. I don't expect any real big third party reveals that haven't already leaked. Metroid Prime Trilogy seems like a distinct possibility. Final Fantasy VII and IX will probably be shadow dropped. Also, given how slow they've been with the implementation of the Switch Online service, I get the feeling that they won't make a peep about it with tomorrow's Direct. Next one, perhaps? Just checked nintendo.co.uk and it confirms 10PM. I really hope time isn't spent on AC3, I don't know anyone who is excited for this game coming to the Switch. They should just announce it on Twitter and save those precious 35 minutes for games that people are excited for. On 14 Feb 2019, I must wake up early at 4 am to prepare my breakfast and my lunch box before 5 am. Wait, Sora forgot himself and everything (again) & Organization XIII members were keep bullying him all the time ?? @Hunt3r_Cr0wl3y Even if it is similar to Pilotwings Resort, add a new island or two (ideally a large city island with a proper airport), maybe a few new activities and more missions and it would be a great game! I already own more games than I have time to play. Can I just have folders to organise them in please? Glad to see Fire Emblem details. I'm kinda keeping my sights low and hope we get release dates on the games we already know about. Ah whatever lol...I predict we'll see whatever Retro has been working on, along with a ton of SNES games on the online service. Metroid Prime Trilogy, Secret of Mana Collection, Xenoblade Remastered and Xenoblade Chronicles X, and Wonderful 101 to come this year. Bayonetta in 2020. And a 2D Zelda game, too! Please, oh please, “Persona 5” Switch. I’m about 50 hours into the PS4 version, having bought it on release day and playing it in 10-12 hour bursts before checking out other titles for awhile (e.g. “God of War” and myriad other great PS4 exclusives released in the interim)... but with that playtime representing just halfway completion of the story, I’d restart on Switch in a heartbeat! It’s just so much easier to play Switch without disrupting the ability of others in my family to enjoy the living room television; that’s true of the Vita too, of course, but Switch can be played elsewhere too without relying upon an internet connection! I haven't actually played 3, but that's what videogamedunkey says in his review. They've simplified the combat even more, with long specials animations and a whole lot of mashing the X button with the occasional triangle for specials. He gave it a 1/5 if you want to check it out. I was on the fence because I've always hated the story but enjoyed the combat and Disney stuff enough, I've played most of the games in the series but really didn't enjoy my time with Dream Drop Distance. I thought that maybe if they cut back on the story I'd buy KH3 and play it on my fiance's PS4, but apparently there are more bad cutscenes than ever. Again, such a shame. The games are gorgeous, have fantastic music, flashy combat and have freakin' Final Fantasy characters in Disney worlds! Why did they have to write an overly complicated story with bad dialogue and robotic characters? Just trying to piece everything together gives me a brain aneurysm. @OorWullie oh man, honestly yes if I had one complaint it’s that control issue, I hate having a button that does nothing in between 2 that do function. I’m glad to know there’s a fix hopefully coming for that! Also I’ve only gotten to level 3 so far but haven’t hit any weird glitches yet thankfully. No doubt, once those two things are fixed it’s going to be even better! 🦄 My mind and my spirit are aligned. I am ready. 🦄 Voice chat within all Switch games. 🦄 Xbox app of wonders on Switch. 🦄 Vastly improved social features. 🦄 Physical rewards from Nintendo for points. Hoping for Xenoblade X or 1 port! @Giygas_95 Absolutely! That would be it for me! They are improving the online service sometime this year, but I don't want them to focus the Direct on that right now. We need to know what we're playing until E3, but hopefully the next Direct talks about online. Not that I personally care about anything beyond classic games, but I know others do. Since the inception of the Switch, I've been saying a remaster of Chronicles 1 would be so nice. We're bound to be right eventually, right?? Haha, I mean it's just begging for an HD remaster. Give it to Grezzo or something. Of the rumors I've heard I hope Mario Maker 2 and 2D Zelda are real..
@dings Super Mario Bros. 2 and Kirby's Adventure are the NES games for the month. They release tomorrow. @dings there were rumours about a 2D Zelda game? Agreed! Xenoblade 1 would benefit a lot from a remaster/remake! The original graphics are a quite fuzzy. I also wouldn't mind having it portable on my Switch! I just know that whatever games are revealed, I’m sure I’ll be broke as usual over the next couple months. 78 games so far for my switch and this will be an important year for switch, and I think Nintendo knows that. @BlackenedHalo yeah, Google it, it's all over the internet but I don't think NL has mentioned it. @Spudtendo oh... I didn't hear about that. At least they're good games. Hopefully it doesn't completely rule out a SNES announcement. I’d like to see Persona 5 as well but I have a suspicion Atlus will announce it at the Sega FES event in March, as hey said the next Persona update would be March. @Alto Just after I wrote my comment, I noticed an article about the patch on the News Feed. It will arrive soon and will include custom controls, screen ratio options, TV filter on/off as well as various bug fixes and other stuff I forget. Oniken will receive the same. Great news. @John_Deacon It's gonna be SO good. I just wish they'd drop the release date so I could stop refreshing his Twitter feed lol. Give me some solid details on Ninjala and its gameplay and I'll be pretty happy! @Grumblevolcano Just like it was SUPER SMASH BROS. I'm guessing coverage and release date for FE and daemon x machina, details on luigi's mansion 3, animal crossing and some unnanounced, and release date for joker. They'll probably talk about unannounced games and this new Nintendo Online feature which will probably be the SNES online (not that I'm complaining) and might give release dates/windows for the announced games. @Hunt3r_Cr0wl3y i'm actually happy about that. because what i've said on a topic that Nintendolife posted last month. "Yes, i think it's time for the 3DS to end it's course and Nintendo moving forward to Switch." Well this comes at a good time for me, as I am apparently now in the market for a Switch and some games (with my wife's blessing/insistence). Maybe something here will move me from my current plans of Xenoblade Chronicles 2: Golden Years, Switch Online, F2P Paladins, Zen Pinball 3, and something else that interests me that I don't already own on Wii U (leaning towards Mario Odyssey or Splatoon 2 right now). Chibi Robo for Swi...it won't happen sadly. Personal 5 is the only game I would get particularly excited about. The Nintendo Direct, is upon us. All I want is SNES + N64 titles to start getting added to my Nintendo Switch Online plan and some information on Luigi's Mansion 3. Everything else is just a cherry on top. With splatoon continue to sell and currently standing on above 8 million and might or might not hit 10 one day, new Pokémon games in the future, the bigger audience that hit every game on the switch, and new Mario and 3D Zelda hitting eventually, will the switch be the first console this generation (and maybe only) to hit 10 games with above 10 million?! I wonder if the Metroid delay will be a reminder of why they shouldn't announce titles too far out or if they're going to feel like they need to make up for it and reveal more. @Kaizoku : There will be a Western release. As for the physical release, maybe not. The Japanese physical edition includes English, however. @Fake-E-Lee We're on the same page. My next big buy is Mortal Kombat, until then I'm quite happy with what I already have to play. I watch the directs to get surprised, not to get dissapointed by overhyping the expectations I can create. I actually thought the Direct would not be this month. I was thinking an early March Direct would be happening, like on the first of March. Not like I'm complaining, of course. Give me Prime Trilogy and Joker gameplay, and I'm satisfied. But of course, I'm always pumped up for surprises. Animal Crossing Switch or GTFO. @Dark-Luigi I've source point to a site that(potentially mistakenly early) had pre-order setup for Luigi's Mansion 3 and Animal Crossing. Iirc LM3 would be set to release in July and Animal Crossing later in September. Weirdly enough considering that it IS a fair amount of months from now and paced from each others make me feel this is really believable. If you look at the smash hit of 2018 big first party Nintendo releases were generally efficiently paced in a seasonal fashion and the big weakness of 2018 was probably that it's major releases weren't properly paced leading to a year that leaned too heavily on Smash Bros. Meanwhile 2019 might end up getting a pacing close to 2017's perfection. Late winter/early spring we will be getting Yoshi's Crafted World. Spring proper will see the major IP that Fire Emblems: Three Houses represent. Midsummer would give us Luigi's Mansion which is no slouch either. Then late-summer/early autumn would give us the powerhouse that is Animal Crossing. Meanwhile there's hints(from Nintendo investors documents iirc) that Pokemon would be a "winter 2019" release which might close off 2019 with a, pun unintended, smashing finale comparable to the success of Smash Bros Ultimate this last December. And that's not talking about what else that is yet unnanounced such as Mario Maker 2/etc if those predictions come true as well since Nintendo themselves have yet to even hint at them though there's lot to believe that might be in the work. Oh and £&@?ing Pikmin 4 already?! A Hat in Time is likely to be mentioned – it's been 'very soon' for a while. And it's a sad face from me if no Metroid Prime Trilogy – even though we've not heard a hint of something official on this. @Edu23XWiiU Exactly! I already have WAY too may games on my Switch so at this point it's pretty much ALL bonus lol. I think my count is up to 380 so I have enough to last me a lifetime as it is. Yes I am insane. All I really want is a solid release date for FE, a release date for Joker (even though I hate him being in Smash), a teaser for Pokemon 2019, & maybe release windows, not dates, for AC 2019 & Luigi's Mansion 3. Mario Maker 2 (if real) and Animal Crossing will be at E3 and anything Pokemon will be shown at the Pokemon Day event with the Teehouse staff. Most of that game will be shown at E3 as well. I was going to mention a couple things I wanted to see in the Direct... but they've been mentioned dozens of times already. Almost 300 comments in less than 6 hours. Can you tell we're a bit thirsty over here? Exactly how I wanted to spend Galentine’s Day! @IceEarthGuard Just hide the live chat on Youtube. I won’t be surprised if they show jokers character model and tease the next character, but After a year of smash news in directs I’m more eager to learn about upcoming games. Zelda Ultimate Collection which will include Link to the Past Remaster, Ocarina of Time HD, Link Betwwen Worlds HD and Wii U ports of Wind Waker HD and Twilght Princess HD. Emulated 8-bit and Game Boy games as "bonuses". I would pay the price of the console if something like that is getting released. Give me a N64 mini god dammit!!! Metroid Prime Trilogy available tomorrow on the Nintendo Switch eShop. @YoshiAngemon Sadly I am addicted to comments heheh, but I might do that. @Giygas_95 just give me this and I'll be happy! I gotta admit, it's not easy to be a fan at times. But it's not all bad, especially considering us KH fans are a self-deprecating bunch of misfits. We know about the sheer absurdity of the plot and in the best case we love it, or just go along with it in the worst. One friend of mine introduced me to KH via the only game I could get to play back in the day, which is Chain Of Memories on GBA (before I bought a PS2 in Christmas 2006 just for the two mainline entries alone). Not the best place to start given the plot of the game involves being aware of forgetting something important, but hey, my girlfriend got her start on Days, which is ten times worse on that front. That said, once you get involved, the games are amazing, both in plot and gameplay. There's something for everyone throughout the series, and once you're on the train I doubt you'll want to get off. Part of the charm is all about the Disney folks coexisting alongside anime-ish characters, with anime-ish seriousness being pulled off by the former or Disney-ish shenanigans pulled off by the latter. I wish I could show you a tenth of the crazy crap going on in Kingdom Hearts III's endgame, but you'd better experience it for yourself. If you want to get into the fandom, instead of wandering into the Youtube channel I linked you to (which I advise against, given the jokes require knowledge of the plot first, especially the spoiler cavalcade that is Just A Pancake's In A Nutshell series) the perfect doorway for you to do so would be my excellent countryman Everglow's 122-videos-long Kingdom Hearts Timeline project, which is all of pre-III plot of the whole Kingdom Hearts saga (so far) told in chronological order. I haven't seen all of it due to me knowing the plot already, but what I've seen explained some of the more intricate plot points and made them clear as day. In case you want to kill some time tomorrow while waiting for the Direct, there's your place to go. Sure, the first 11-ish videos all provide backstory to the overall KH lore, but then the bulk of the Dark Seeker saga kicks in as soon as the Birth By Sleep protagonists are involved. Consider it a free Disney movie/anime hybrid if you want. Tell me if it does the trick for ya. So a company who owns many of the biggest IPs in videogames is about to make some announcements after a few months of silence; can you really blame people for having great expectations? I for one I'm hoping for Animal Crossing Switch info and footage and maybe a remake of a GameCube classic. Super Mario Galaxy for Switch would be fantastic but that's asking for too much. Great to hear. As always, keeping my expectations fair, I'm only expecting FE 3 Houses because that's all Nintendo promised. @KingdomHeartsFan I'll get my "oh my god it's another Amiibo Festival game" pitchfork ready. Seriously though I wonder if we can expect Pokemon news, it wouldn't surprise me if we didn't get anything Pokemon related tomorrow. 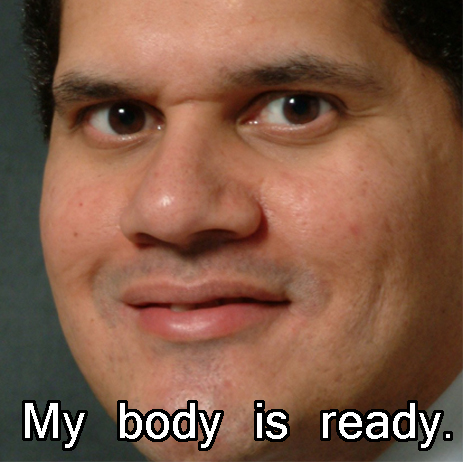 @Giygas_95 especially if it is in fact "ready" and they release it soon. Shamefully, I missed out on 2 and 3. @spurryitboi If it does end up happening you're in for quite a time. Corruption is a great game in its own right. Echoes I consider to be a much harder, backtracking heavier version of Metroid Prime, but it's every bit as good to me. The announcement of a Turrican trilogy for Switch, maybe? 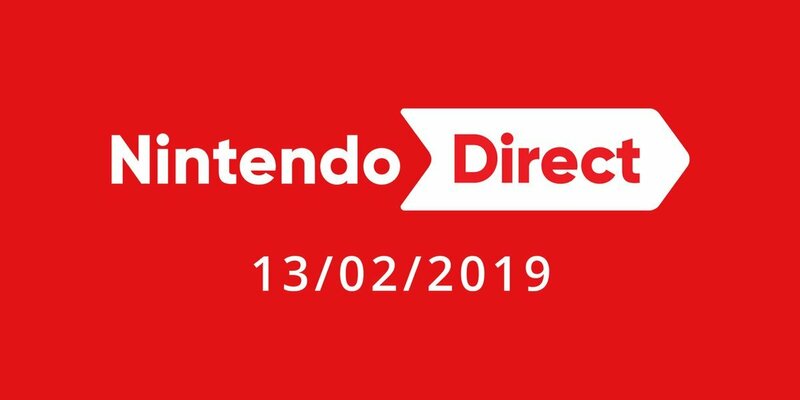 Then, the rumors were true, tomorrow (japan is 14) there will be a Nintendo Direct, ok, to wait!! I want Animal Crossing, a new Paper Mario and a Zelda Maker (like Mario Maker but with Zelda) and I'll be totally happy. No wonder so many get mad and contribute to the toxic vibe after a Direct. You have to keep your hype to a minimum, only then you can appreciate what’s being announced, then move on with your life. Fingers crossed we get a Metroid Prime Trilogy HD Collection for Switch, Pikmin 4, virtual console/SNES games, and some more Smash Bros character announcements. Kingdom hearts 3 would definitely not be a Switch friendly game. In portable mode with endless cut scenes people on the go will take forever trying to save their game. Mega Man Legacy Collection 3 with all the Gameboy games, Mega Man & Bass, and the Neo Geo Pocket Color Fighters. A remastered Virtual Boy Wario Land. None of these will happen... lol. I want the HD Prime Trilogy and Mario Maker like everybody else. I’m sure Fire Emblem is gonna steal the show though. I'm excited to see how they go throughly on the options menu to show us hopeless gamers how to adjust the screen brightness and change the language in Fire Emblem for 20 minutes. @Alex18 Absolutely. No one knows how to excite and disappoint like Nintendo. It would be nice if we could get some Pikmin 4 news, some Animal Crossing, then some surprises like Mario Galaxy 3, and some other surprises, plus how about some Sega stuff? Shenmue. What a great day - Capcom loads a bunch of game music cds on Spotify, AND a new Direct is announced! Surely, Iwata-san smiles upon us from heaven. It's an ambitious list and we'd be lucky to see any of this. I don't own a Switch yet but if KH3 and KH A Story So Far are announced to be ported to the Switch in the future I would immediately go to Nintendo NY and buy one. Fingers crossed. @DLevene17 SORA FOR SMASH! YES! I want Metroid Prime trilogy HD, I bought it on the Wii U a week ago but would buy it again in an instant on switch. Ohhh man. Buckle up ladies and gents! HERE.WE.GO. @patbacknitro18 I'd be satisfied if they would just release more titles each month, like 6 or so, not including the "SP" version of games. Those really take the fun out the OG gameplay. @iLikeUrAttitude You might 'like my attitude' as your tag says but can you write a complete sentence instead of just an insult? This is supposed to be a polite forum. I'd love them to announce STEEP. I'm probably going to be disappointed. Probably. Still it would be nice. @DigiF4N you’ll never get your wish. Now shush. My first time to play fire emblem, curious how the gameplay! FE finally so I’m good. Langrisser I&II heading West would be nice. Please show off a new updated eshop. @Tantani the problem is you are only talking about exclusives.. if we count only them, yes.. the switch can beat PS4... but once we talk about fifa, cod, GTA, RDR.. it's tough.. but let's see if the 3th party scenario begin to change! Plzzzz give me a Mario Party update/DLC!!! Safe bets: Assassin's Creed III Remastered and Spyro Trilogy(probably the two worst kept Switch secrets atm). Wishes: Just a Metroid:Samus Returns HD port. Everything else i'll be fine with. Expecting the next Smash DLC reveal. Possibly SNES titles for the online service. Several games I have no interest in because I'm not 10. But those kids will be thrilled! An update on titles that were supposed to release last year such as the next Metroid and Bayonetta games. Even the first and second one alone. That would make almost the entire saga portable for me. That would be killer. As I've kind of just said. When i saw the news i simply cannot believe it, great is actually happening, bring us that expected direct, and we can turn on hyped-mode (with solid base) since smash days. @AlexSora89 Yeah true it would be indeed awesome. Maybe the first 2 now and the third later on? @rjejr Super late on this one! Have been busy. You were talking about Nintendo not changing (unfairly simple summary, really). I'll give them a little slack — new president and turns out Reggie is leaving too, which might disrupt the overseas communication a bit. I do think that they have really been through some tremendous change and I, for one, like surprises. I like the announce-and-release-the-same-day things. Nintendo has learned to do this AND give long notice on some games and spread out the communication. Iwata brought so much more spotlight into the team inside Nintendo. The direct was very forward looking, great for Nintendo's survival and looks like it might be a trendsetter for E3, as well. Much of this was during Wii U, and facing difficult times. So, I'm not so bothered. It helps that the time I have for games (and there is some! ), is nowhere near enough to dent my growing backlog. @aaronsullivan "new president and turns out Reggie is leaving too"
Yeah, you know me, the crazy conspiracy nut New Yorker, and I couldn't help but think Reggie leaving might be tied to another shake-up. I don't believe in coincidences. And if memory serves he's been demoted twice. Not big time demoted, just a change in the power structure demoted. And with only 1 system, Switch, rather than 2 - DS and Wii, 3DS and Wii U - there certainly must be even less for him to do now. So while I don't think they forced him out, maybe they had a conversation and convinced him there was no reason for him to stay. I mean, I can't imagine walking away from that job, can you? I know he's getting up there in years, but he's not even old enough to work for Trump yet. Sorry to bring politics into this, but w/ all the Dems announcing they are running it's been a bit much, I've recently decided nobody over 69 on election day should be eligible to be president unless they already are. I know that's ageism, but so is nobody under 35. If they are going to have a floor it seems only fair to have a ceiling. And as the article points out, when you have a president that old they hire other people that old, which is far from representative of our country. Ideally you'd have a president in their 50's so we could have cabinet members in their 40's, 50's, and 60's. Old people need to stop taking our jobs. And Reggie is no where close to that, he's only 57, he'll be 58 next Monday, he's basically my age. He can't even collect stuff -SS, retirement funds - yet. So why's he leaving at 58? Gotta be a push, but I don't think a shove, he's too Reggie for a shove. @rjejr I think a wide set of viewpoints and experiences in government is important and that includes a wide range of ages. I'm with you there. I would like to see someone with solid working experience (not just politics, but also not lifelong out of touch upper management), and who understands technology and science — please no more man-made climate change denial — sensitivity about resistance to needed social issues, and without vitriol or hate-mongering (even against political opponents). You'd think that would be an easy ask... Bonus points for transparency and an intent to break down echo chamber walls. Give me that unicorn, make them somehow electable, and I'll vote for them, whatever party they belong to. As for Reggie, I don't think he was pushed. Switch just did gangbusters and maybe that had more to do with Doug Bowser, but Reggie approved it all (as much as his input counts). I'm betting he has more than he needed monetarily to retire now, and by all accounts he was a crazy long-hours worker which means he probably really does want to spend time with his family. What better time to retire? Why wait? His body was ready. @aaronsullivan "His body was ready." So, since you're here, I'm not sure if you forgot, avoided, or I just never sent a long comment to you about my kid going to college. But as luck would have it, we just met w/ my kids guidance counselor today about college - he's a junior - and found out he's now ranked #2, salutatorian material, so he has that going for him. He's still interested in game design - nothing like low pay and long crunch hours to pay off a student loan - and the counselor mentioned Rutgers, which I hadn't thought about b/c it's in NJ and if he's going into NJ it might as well be Princeton, and Drexler, which Id' never heard of, but apparently is a real college and a good one at that. So any thoughts on those 2 schools? He's probably going to end up at either Stony Book or Binghamton but gotta look into those "reach" schools. Anyway, I'll talk him out of game design as a major, gotta pay the bills first, design as a hobby second, but a good computer science and engineering school seems a good place to start. @rjejr Drexel I know a bit about because I have a student hoping to get in. The game design and production major there seems a bit more geared towards designers than programmers (seems like they always want some good programmers in the major, though) It has co-op opportunities, which is good. I don't have direct interactions with anyone there, though, this is just from reading materials. Up state - RIT has a solid game programming and design degree we funnel students into all the time. They are all about getting real games made while there and have some great brand new facilities. They also have solid sciences, computer science, etc. If your son is self-motivated, though, then, like you, I think computer science (or other related majors) is a good place to start. From that path there is tremendous flexibility where you want to ultimately work and where you want to apply your skills. It can be a bit of slog if you don't have imagination and motivation to apply it to interesting projects while you are learning, though. Put another way, for students who need that motivation to get through the hard stuff I'd recommend a program like game design to help — the passion can push them through the difficulty. For those who are going go deep into programming regardless because of good academic discipline, they can apply their other passions to it as they go. I don't envy you on this. Not looking forward to helping my daughter get through these decisions in the coming years! The part that is hard to predict is how someone will adjust to college. Some take right to it, some are just overwhelmed. First semester is always intense for students. @rjejr Oh, and that earlier message about this I kept pushing off because I knew it would take some time to think about and answer! Sorry! @rjejr Also, Binghamton has the nice benefit of a computer science degree that lets you specialize with many electives in the fourth year, including game design, apparently. I don't know too much about their program overall, though. Looks relatively rigorous — in a good way. Again, no interactions from the faculty there, just reading materials. @aaronsullivan Thanks for all your feedback. And no need to be sorry, I know I threw a lot at you last time. RIT - (as in Rochester Institute of Technology I'm assuming, so many "IT" schools that aren't MIT, counselor also suggested RPI Rechslar in Troy, and Worcester PI in MA) - is where he goes for the FIRST robotics tournament, they gave him a tour last year. It wasn't on his list b/c he wanted to be closer to home, 4 hours or so, and it's 6 1/2 for us, but it probably should be. My thought was if he was going upstate might as well go to Binghamton "the Ivy league of the SUNY schools" - w/ free Excelsior tuition - my wife has a nice job but I'm still a bum - than pay for private RIT. But he'll probably apply. And yeah, college is hard. I went to college and grad school for a M.A. and spent about 1/10 the time combined on mine as I have on his. FAFSA, College Board for SAT and ACT, scholarships everywhere. And while it's probably less new info for me and my wife, she has a BA from Albany and and MA from NYU - we both spent a lot of money for majors we moved on from and did nothing with. So my kid saying he wants to go into game design really just means "I go to an inadequate public high school so I have no idea what I'll do with my life, so I'm just saying computers to shut my parents up". He'd really rather write TV and movie scripts or comics, but we've told him, real job first, pipe dream later. So as you say, how motivated will he be? He completely blew off National Honor Society, so I'm not sure. He did say he wants to get a job this summer so that's something. I do think no matter what school he goes to or classes he takes he'll do well, as he's driven towards good grades, but I honestly don't know what he'll wind up doing. My other son I see at Stony Brook getting a science degree, then creating a black hole at BNL and destroying the world, he's funny that way. They keep me balanced. Do you do counselor stuff? Our counselor showed us Naviance, a cool little website that showed us all kids applications to colleges and those admitted or declined. 6 applied to Yale and Drexler, no responses yet. You'd be able to see how things are going for your students. "The part that is hard to predict is how someone will adjust to college." That part scares me. My son is wound up tight. Way too tight. So I'm not sure what happens when something bad happens. Not a bad grade, he'd probably just cry that off, but walking into your dorm to find your girlfriend w/ your roommate bad. Or heck, just getting dumped. That I'm afraid of. May put him into therapy this summer just for a check-up. Also why I'm not pushing him to be farther than 4 hours away from home, just in case he loses it. Once a helicopter parents, always a helicopter parent. Thanks for the info, I'll hit you up if I have any specific questions I think you can answer.